QSI Corporation, manufacturer of rugged operator interface and mobile data terminals, was selected by Pro Refrigeration Inc., developers of chilling systems, to provide the graphic human machine interface (HMI) on an advanced microprocessor driven refrigeration controller. 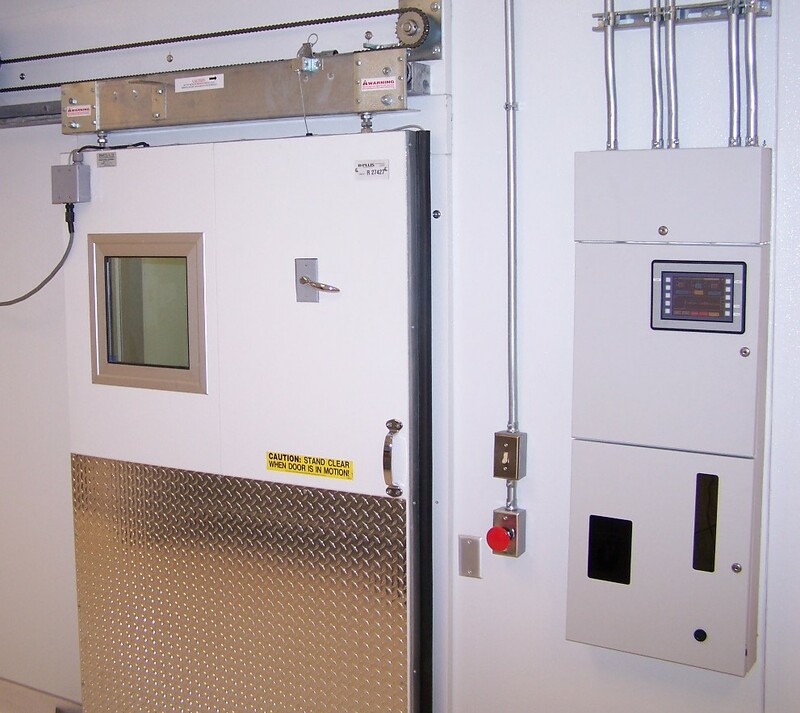 This technology was recently implemented at the newest American Red Cross facility to improve temperature and compressor control for their blood and plasma storage rooms. This new state-of-the-art facility in Pomona, California, is the largest blood bank in the United States. After only operating a year, the Red Cross realized their existing control system was not adequate for controlling the temperature of their blood and plasma storage rooms. With blood and plasma worth millions of dollars stored in each room, variance in room or product temperature is not acceptable. Strict quality standards require little or no temperature fluctuation of the blood and plasma, at a holding temperature of -32 °C. The project involved the installation of Pro Refrigeration’s CR110 Controllers onto existing Red Cross condensing units, with QSI Corporation’s QTERM-G70 touch screen operator interface mounted outside the storage room, as the user interface for storage room control. 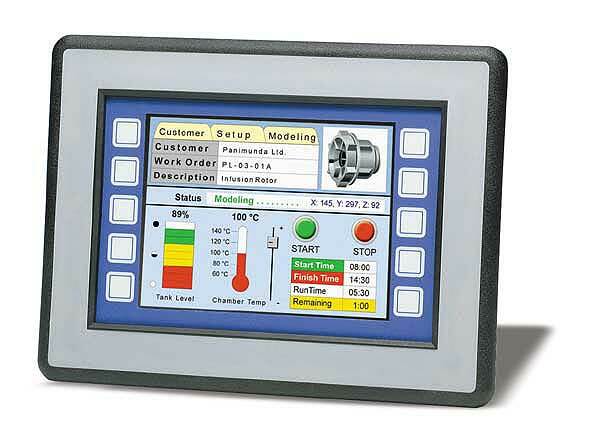 The QTERM-G70 operator interface was easily customized for this application. The results included much better storage room temperature control, more effective defrost cycles, improved data logging ability and overall improved system control. QSI’s QTERM-G70 is a rugged, Ethernet-enabled graphic human-machine terminal using a touch screen to interface with the user. This rugged terminal features a robust list of industrial-grade hardware features and options including a 320x240 lighted graphic LCD display (color or grayscale); 100Base-T Ethernet with TCP/IP support; touch screen with optional PS/2 keyboard connection; and a EIA-232, -422 or -485 serial interface. The QTERM-G70 graphic terminal is ruggedized for use in harsh industrial environments and is NEMA-4 rated and CE certified. The QTERM-G70 uses an object-based graphic terminal programming language called Qlarity™ (pronounced Clarity). Designing a simple control panel interface or a complete stand-alone application has never been easier. The ability to use pre-defined objects, edit existing objects or author your own objects, provides flexibility to the novice and expert alike. Qlarity Foundry™, a PC-based design tool, provides a Windows® environment for screen creation, application simulation, debugging and downloading to the QTERM-G70 terminal. “We are pleased to have worked with Pro Refrigeration on such an important project for the American Red Cross," said Jim Elwell, President of QSI. "It is rewarding to know QSI’s products are a part of a solution to properly store precious blood and plasma used in hospitals to save lives." To learn more about Pro Refrigeration’s refrigerated product line, visit http://prochiller.com. To learn more about the American Red Cross, visit http://www.redcross.org. To learn more about QSI’s QTERM-G70, visit http://www.qsicorp.com/qterm-g70.html. Graphic images of the QTERM-G70 can be downloaded from http://images.qsicorp.com. For more information contact QSI Corporation at 801-466-8770, Fax 801-466-8792, Web http://www.qsicorp.com or http://www.qlarity.com. Established in 1983, QSI Corporation is a manufacturer of rugged handheld, panel-mount and pedestal-mount terminals for industrial OEMs and commercial vehicle systems integrators. 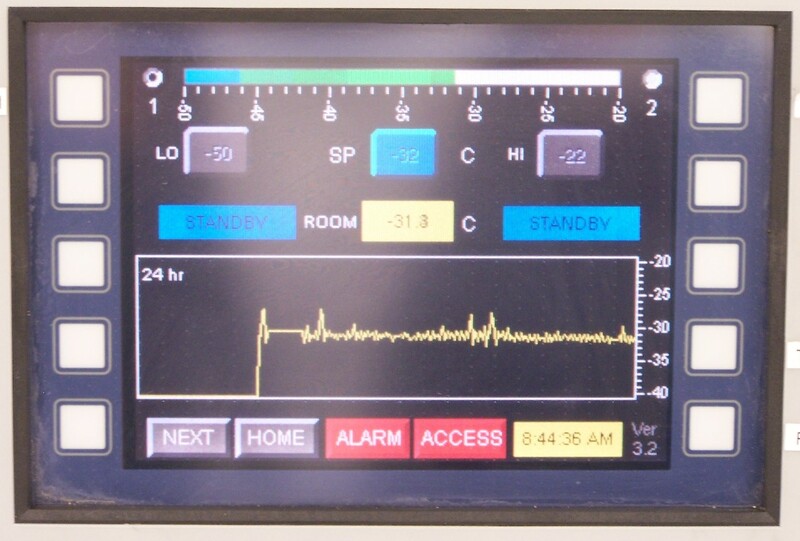 QSI’s human machine interface (HMI) and mobile data terminal (MDT) products include character and graphic terminals that are programmable, customizable, CE certified and NEMA 4/12/13 rated. Numerous interfaces are available, including EIA-232, EIA-422, EIA-485, J1708, Ethernet and Power-over-Ethernet. QSI excels at designing and building custom and semi-custom terminals able to withstand high levels of shock, vibration, humidity and other environmental parameters. All QSI Corporation products are manufactured in the USA at the company's headquarters in Salt Lake City, Utah. For more information, contact QSI Corporation at 801-466-8770. Pro Refrigeration, Inc., based in Auburn, Washington, is a leader in developing refrigeration and control systems for a number of markets including microbrewery, winery, food processing, and many others. For more information, contact Pro Refrigeration, Inc. at 253-735-9466 or visit http://www.prochiller.com/. The American National Red Cross is headquartered in Washington, D.C. Since its founding in 1881, the American Red Cross has been the nation's premier emergency response organization. As part of a worldwide movement offering neutral humanitarian care to the victims of war, the American Red Cross distinguished itself by also aiding victims of devastating natural disasters. Over the years, the organization has expanded its services, always with the aim of preventing and relieving suffering. Today, in addition to domestic disaster relief, the American Red Cross offers compassionate services in five other areas: community services that help the needy; support and comfort for military members and their families; the collection, processing and distribution of lifesaving blood and blood products; educational programs that promote health and safety; and international relief and development programs. For more information, contact the American Red Cross at 202-303-4498, or visit http://www.redcross.org. QTERM-G70 Graphic HMI TerminalGraphic image of the QTERM-G70 HMI terminal. QTERM-G70 Data SheetData sheet on QSI's QTERM-G70 graphic operator interface with touch screen. QTERM-G70 Installed at American Red Cross FacilityPhoto of QTERM-G70 installed outside a blood and plasma storage room at American Red Cross facility in Pomona, California. Screen on QTERM-G70 QTERM-G70 Installed at American Red Cross FacilityClose up of QTERM-G70 HMI applicaton installed outside a blood and plasma storage room at American Red Cross facility in Pomona, California.